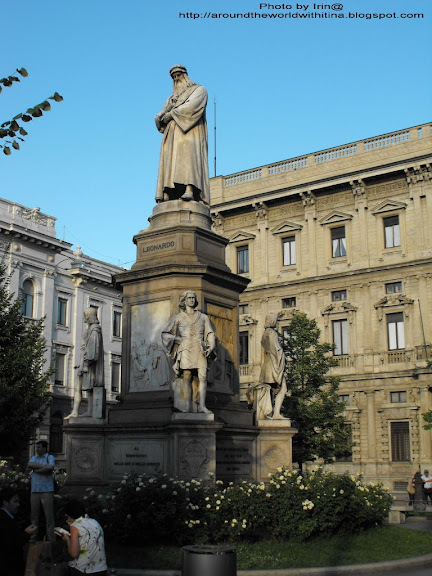 ......Scala. 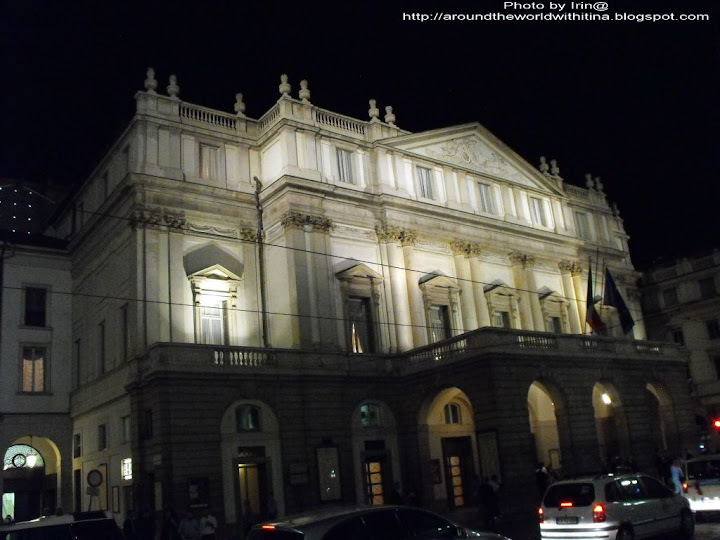 Or La Scala as it’s called here. To stress upon the importance. No need for that, I’m sure. On the outside the building doesn’t say anything. But it’s grandour overwhelms you inside. I’ve been dreaming to get here since I was a child. Don’t know why. I guess I heard the name somewhere. 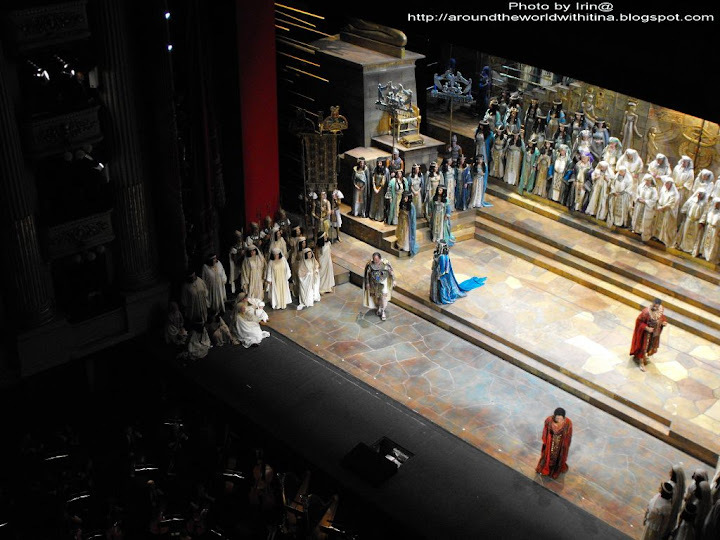 Then I studied some music and learnt about what it mean in the history of opera. 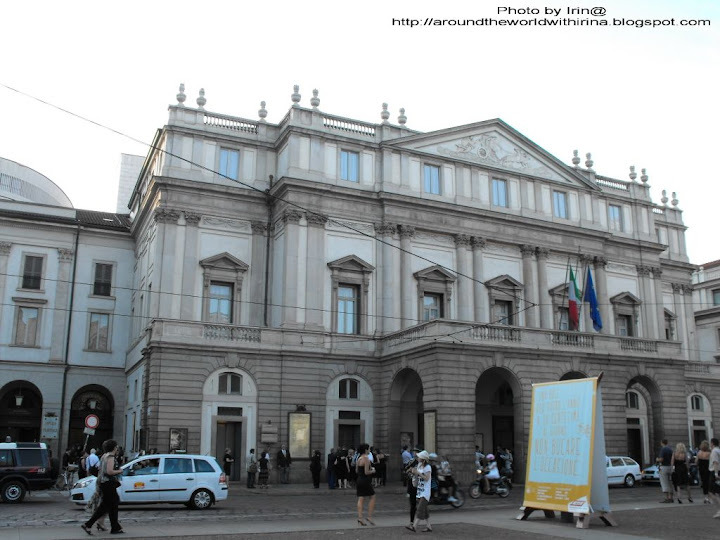 Years later I got to Milan but didn’t have time to see a performance. The U2 concert offered the chance. And I bought a ticket. It was difficult. I was in Calella, Barcelona when the tickets got on sale. And I didn’t have internet connection that moment. When I managed to log in, it was sold out. I started searching on the internet for tickets and after a few days I found a man willing to sell tickets. I think this iwas as a part time job for him. He was buying tickets and then resell them at a higher price. I paid 60 euro for a 30 euro ticket. Double. But it was a good seat. Before paying he told me the exact location. Of course, there was a risk. But there was nothing else I could do. So I paid. The seat was at the second gallery, sort of side view, but first row. I could see everything. 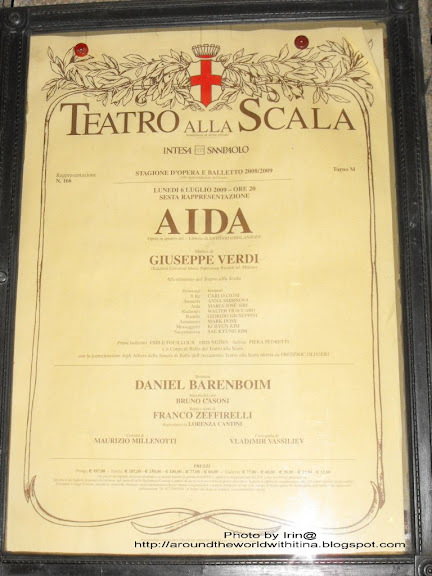 ......Aida by Verdi. Daniel Barenboim conducting. A Franco Zefirelli production. I read many things about this production. Good and bad things. I also read that at the premiere the conductor was booed. All the great singers had problems at Scala. Pavarotti many years ago and also Roberto Alagna. 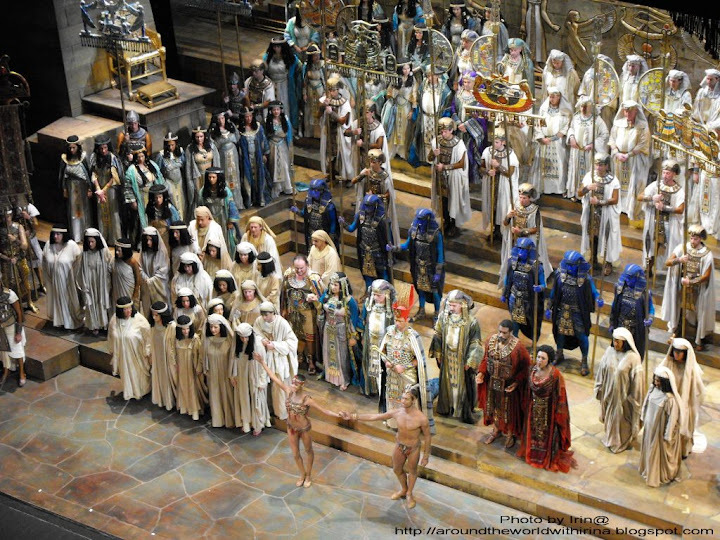 Same production of Aida. I was curious to see what would happen. ......The hall is big (the biggest opera theatre in Europe,they say). 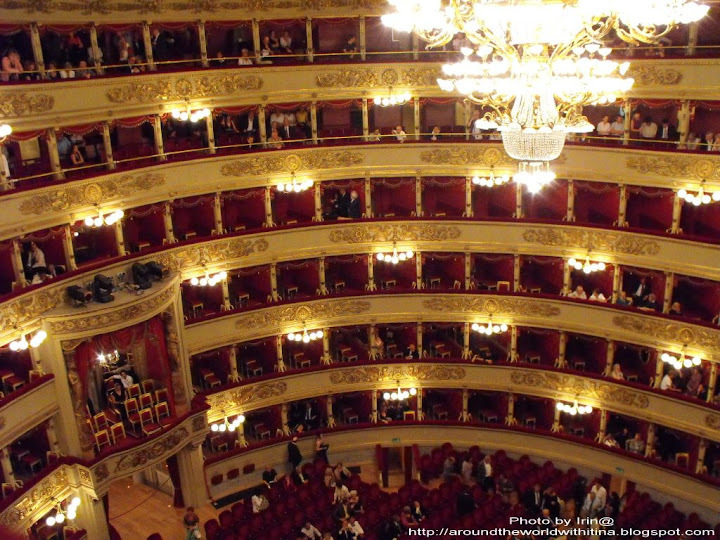 Red velvet chairs, red curtain, huge space for the orchestra (bigger than the Athenaeum stage). Four stories of boxes and two stories of galleries. But the seats are not very well placed, both in boxes and galleries. Only those seating on the first row can see. Those in the second, third and in some places fourth row can’t see the stage without standing. And because of this there was a continuous sound made by chairs. Didn’t like that too much. Behind me there were three American girls. As they couldn't see, they started talking. They stopped talking at some point because somebody told them to stop. One of them had a ring. With many small silver balls on it. Don’t want to know the sound of those balls in the silence of the hall. Ding, ding… ding, ding, ding….. GOD. I tured to her and asked her to remove it immediately. She did that. I didn’t know that the ring had matching earrings. Ok, it was not fun. I tried to concentrate. ......People are smartly dressed. I liked that very much. It gives a certain importance to the event. 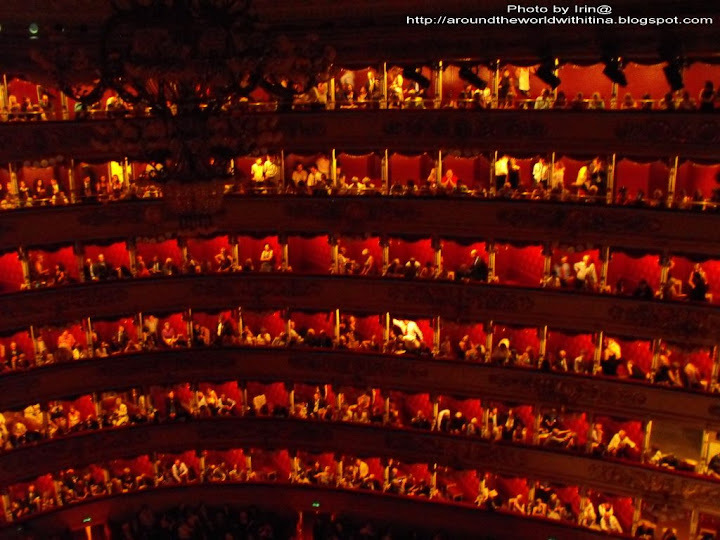 But considering that, I can say that the first contact with the Vienna Opera impressed me more. You’ll see why. I had… a sort of feeling. ......The production is grand. It’s Zefirelli. 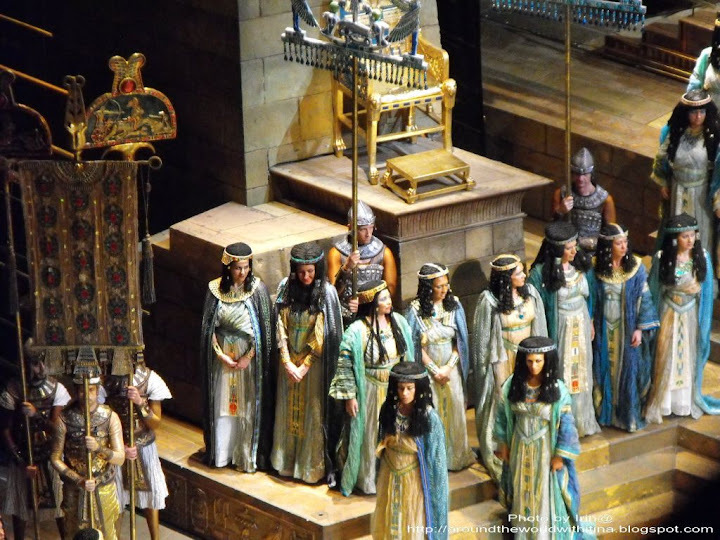 From sets to costumes and makeup, big choir, everything to make a perfect Aida. I didn’t know anybody in the cast. I only supposed they are good. 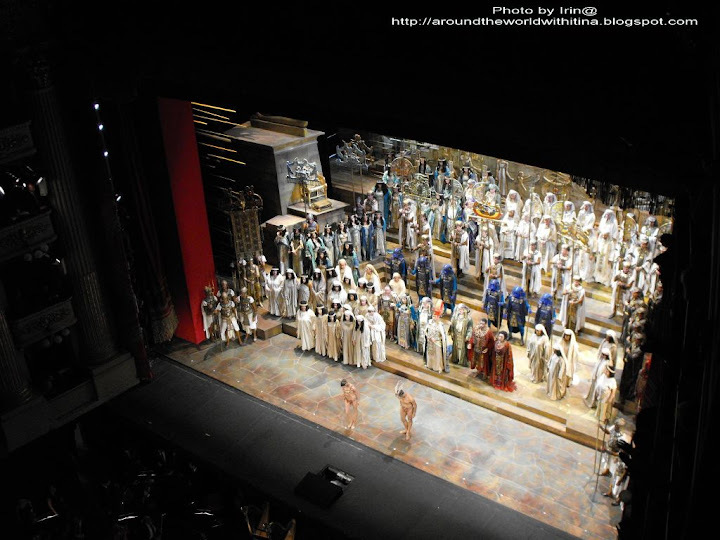 Well… The first two on stage, Radames and Amneris, were a little bit hesitant. Especially the tenore. He made a mistake right at the beginning and guess what… after the first aria he was booed. Two-three people down there said “booooo” loudly. Not nice at all. So the legend is true. ......Two acts without break. That was long. About 1 hour and half. 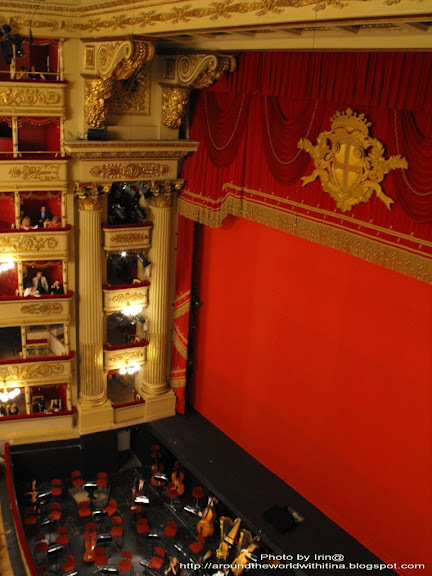 The opera is long. IT started at 8pm and finished around 12am. There was one interval after the first two acts and another one after the third acte. They had to prepare the set for the last acte. 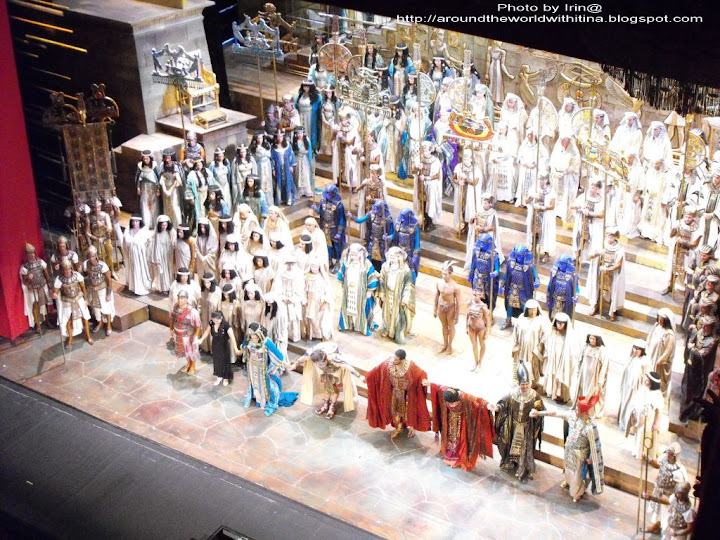 ......At the end of the second acte there’s the triumphal receiving of Radames. Everybody is on stage. This is impressive. There’s no place for mistakes here. 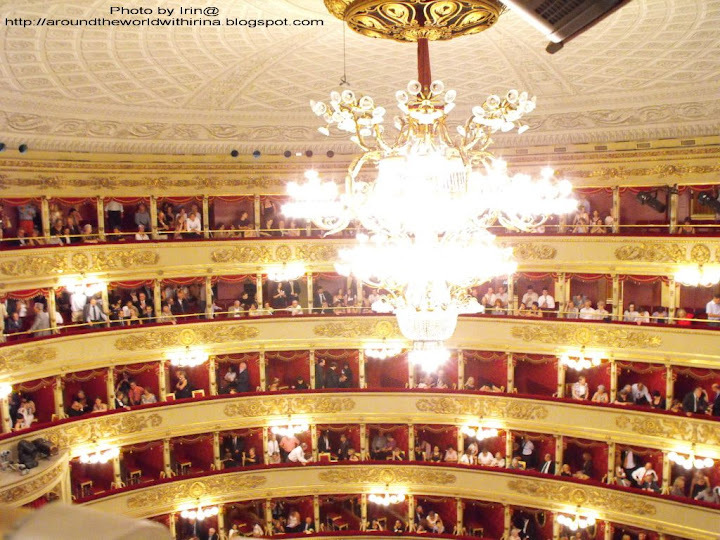 It’s one of the most important moments of the opera. And they did it well. The third acte…. Makes you wait for the fourth :). ......This is the sad one. 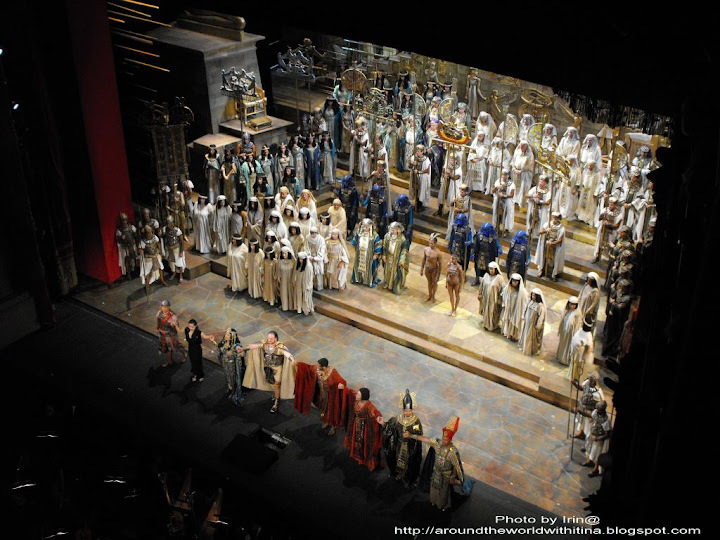 Radames is accused of treason, Amneris tries to set him free but the council of priests decides that he has to die, buried alive. 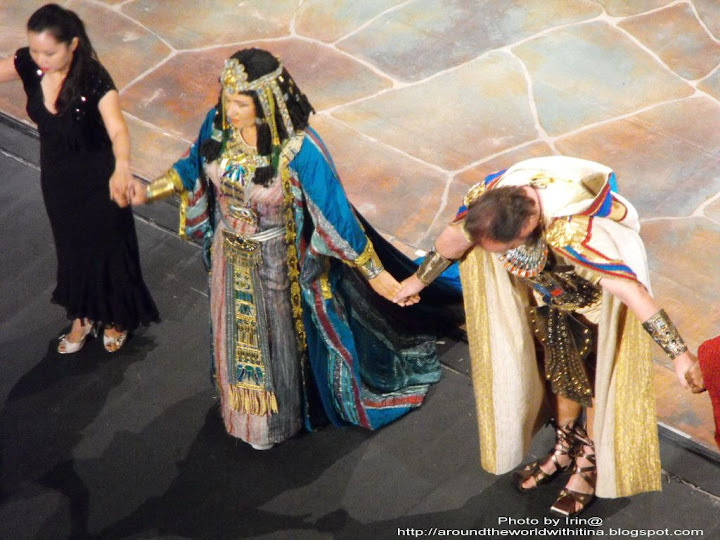 Aida manages to get inside the tomb and they die together, while outside Amneris brings candles and prays for the soul of her beloved Radames. 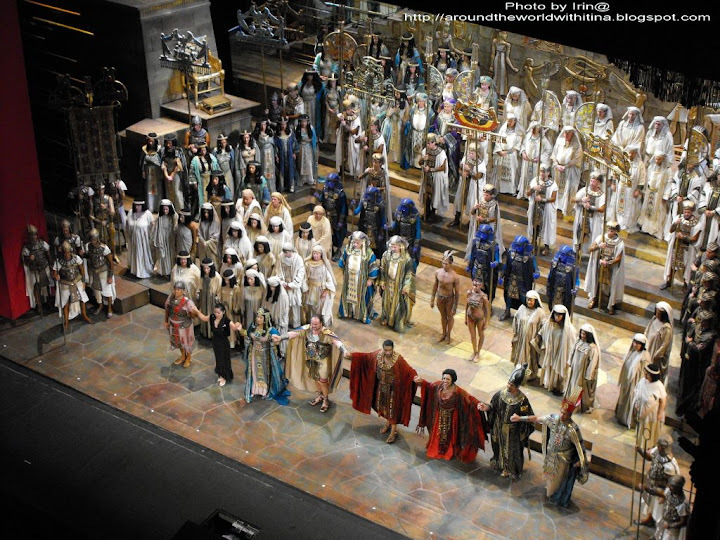 The element of surprise here is that the stage rises in the moment Radames gets inside the tomb. That “under” comes to the level of the stage while Amneris is now up. .....This is how it ends. The dancers bring more candles and all the lights are tuned off. 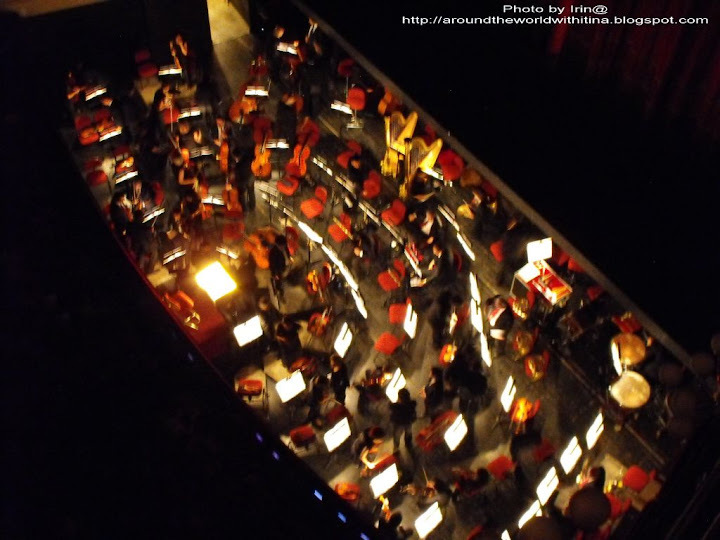 For 5 seconds after the orchestra finised there was complete silence. 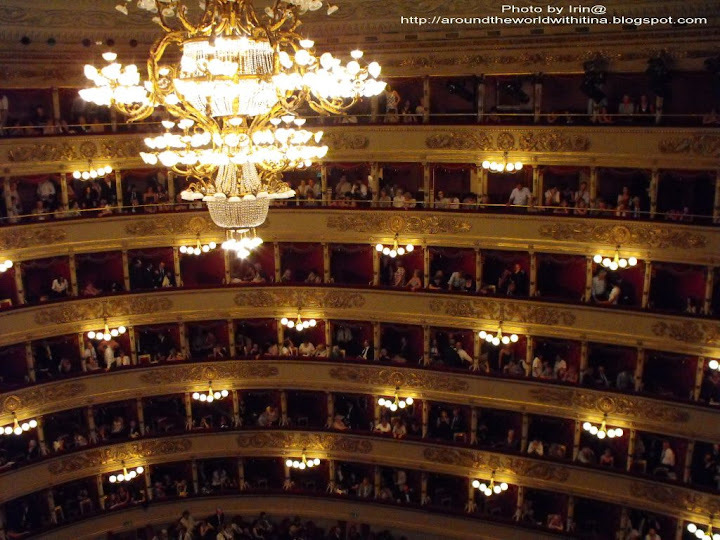 After those 5 seconds we could hear the noise made by the conductor’s stick hitting the desk, signaling the end of the opera. Applauses followed, but not too many. ......I finished the idea in order not to ruin the description. But there’s something to be added. The tenore hit a high note lower than it should have been. And it was false. Oh, sooo false. Lucky him the violin started one second after and he managed to fix the problem. But I heard it. And so some people in the hall. Cause he was booed again. The same mean “booooooo” from the beginning. Somebody down there was fishing for mistakes. ......The others made it to the end honorably. I liked the mezzo. Very deep voice, mainly in the third and fourth acte. The soprano was so and so. There was something wrong with her voice. I don’t know what. I couldn’t understand a word of what she said. The audience liked her very much. ......Lots of applauses for Mr Barenboim. The orchestra sounded very, very good. 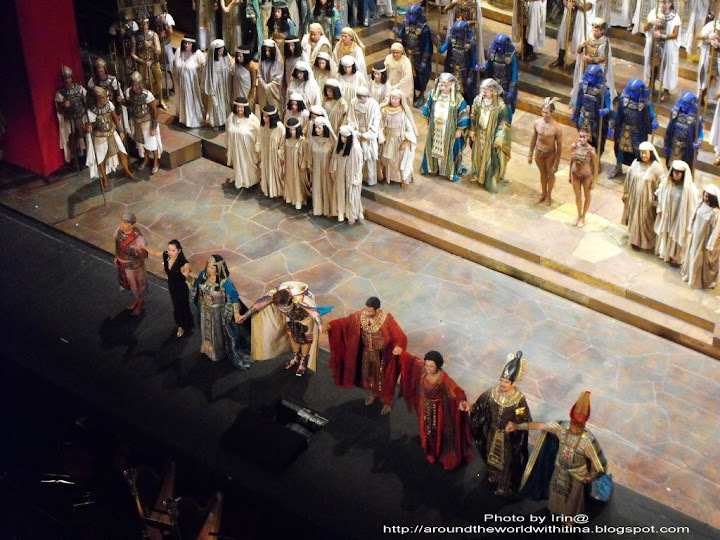 I was above him and I could follow him throughout the opera. He was seated but got very involved, especially in the key moments. From up there I could also see the stage monitors (and how the artists look at the), and also the ….sufleur. There were moments when the conductor was dealing with the orchestra and the “sufleur” with the artists and choir. 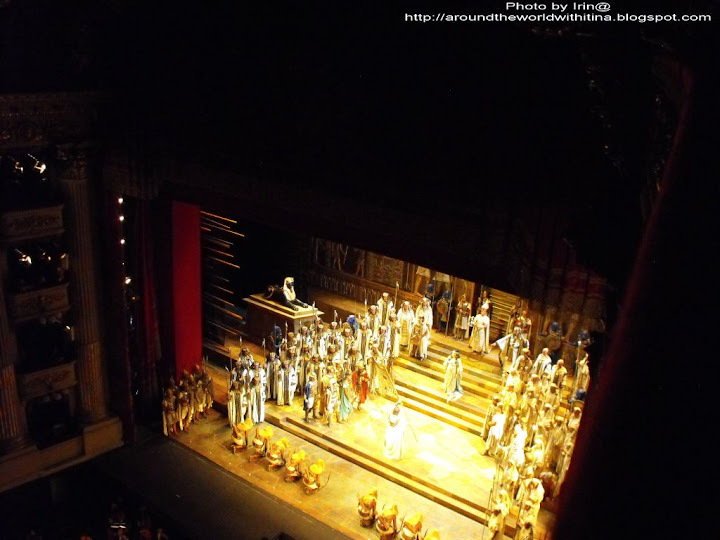 ......Not the perfect cast for Aida (the other cast included Violeta Urmana and Salvadore Licitra, but I read somewhere that Licitra withdrawn from the production. I’ll have to check again), but I still liked it and enjoyed those 4 hours spent there. ......There was that feeling that followed me all the time. The feeling of cold. I don’t know how to say this in a better way. Might have been because of the air conditioning. But on a second thought, no. It was because of the hostile attitude of the people. From that booo in the first acte. It was exaggerated. But the “Scala goer” is a different species. He/she comes, criticize, boos and before the artist comes on stage for applauses he/she leaves the hall. The moment the lights turned on a lot of people jumped off their chairs. As if they were late or something. Maybe they are used to perfection. Maybe too many famous singers come there every year. But if they go on like this they’ll loose a lot. View from the second gallery. Seat 103. Isn't it beautiful? It's huge. ......All in all, a pleasat evening. The next evening in Milan is dedicated to pop/rock. U2 concert on San Siro stadium.